The All Progressives Congress (APC), Rivers State Chapter, has described the defection of Mallam Nuhu Ribadu from the APC to the ruling PDP as a political suicide even as it chided the former EFCC chairman for making a disparaging statement against Hon. Chibuike Rotimi Amaechi, the Governor of Rivers State and Chairman of the Nigeria Governors’ Forum (NGF). Ribadu had in a statement on his facebook page denied attacking Amaechi or any of the APC leaders. According to the APC “Ribadu’s outburst is very unfortunate and borne out of ignorance of what the antecedents of Amaechi are. It is on record that during the days of Chief Rufus Ada George as Governor of Rivers State, he offered Amaechi appointment as one of his Commissioners but Amaechi declined and instead nominated his cousin, Sir Celestine Omehia, whom George appointed as the Commissioner for Education. “This does not in any way indicate somebody who is hungry for power. While Amaechi, like Ribadu, has exercised his constitutional right to seek election as Governor, his feats, which he rightfully attributes to the grace of God, conclusively prove that he never sought office due to hunger for power but, rather, in order to render service and make the society a better place. “This is in direct contrast to the conduct of Mallam Ribadu, who after being the presidential candidate of the defunct Action Congress of Nigeria in 2011, has now stooped so low to buy PDP guber form to contest the governorship of Adamawa State thereby committing a political suicide and if we still know PDP very well, Ribadu will surely regret this unwise step in a matter of few weeks. And to think that this is the same PDP which Ribadu once described as a den of thieves! So between Amaechi and Ribadu, who should rightly be accused of being hungry for power? 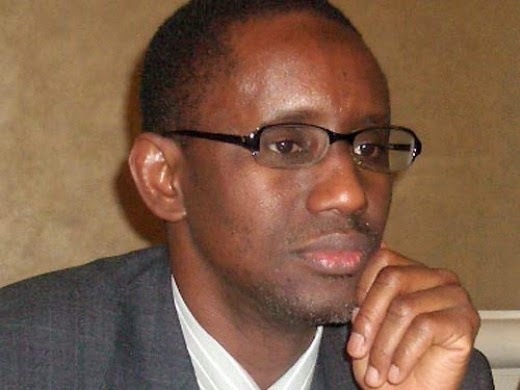 Obviously, it is Ribadu, who has just confirmed his position in the league of political prostitutes! “While we wish Ribadu well in his latest political gamble, we advise him to leave Amaechi and APC alone. He should preoccupy himself with how to survive among the sharks and wolves that he decided to join after abusing them to high heavens. “We wish to urge and plead with Nigerians not be dismayed or discouraged by the unprincipled step of Ribadu and his likes but unite and seek solution on how to save our nation from the pains and shame that PDP Government has brought to our nation through the looting of our common patrimony with impunity and turning corruption into an institution and not disparagement of Governor Amaechi or any other progressive leader of our nation. The PDP Government has destroyed all facets of our nationhood – our education sector is in shambles together with our Health Sector so any sound mind joining or promoting such a party like PDP that have brought so much misery and poverty to our nation is totally out of tune from reality. Missing $49.8bn Oil Money: Saraki And His Da Vinci Code?